This is a love story for the books. 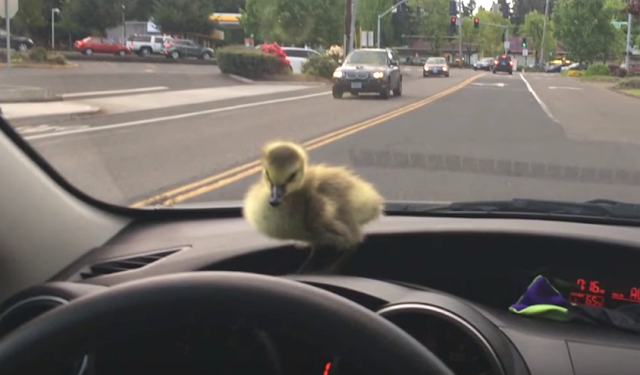 Two years ago, a gosling was abandoned by her mother and was found drowning in the water at Lake Oswego in Portland, Oregon. A man, named Mike, and his friends were out on their boat when the noticed her. Mike took her in and raised her with the plan of releasing her back into the wild when she was old enough. The Canadian goose, later named Kyle, refused to leave Mike’s side. He kept trying to let her go but she kept coming right back. He tried everything he could to release her. He would drive miles away from her but she would already be at his house by the time he got back. She refused to leave. She follows him around everywhere, even in the road. When women are near Mike, she stands even closer to him. Mike has accepted the fact that Kyle isn’t going anywhere, and loves her back just as much! “I’ve tried to get rid of her, you know. I’ve driven her miles away and then left her in the middle of nowhere and when I come back she’s already home before me, so there’s not a lot we can do” Mike said. 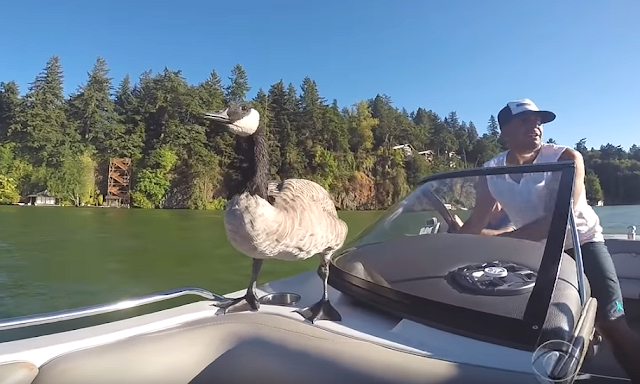 Apparently, the ten-pound Canadian goose even gets defensive and jealous around women. ‘When girls come around and she senses they’re a threat, she lets them know. She’s smart enough to know actually who the threats are and who they aren’t,’ Mike said. 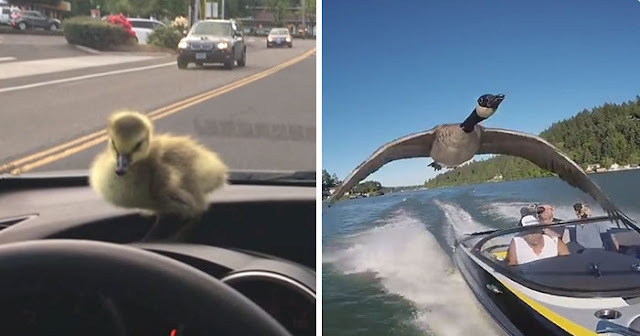 Responses to "A Man Rescued A Gosling From Drowning. 2 Years Later, She Still Refuses To Leave His Side"